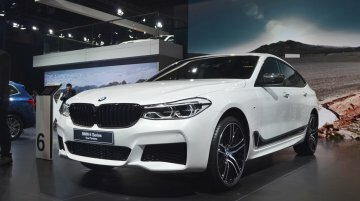 The BMW 6-Series Gran Turismo was showcased at the recently held Autocar Performance Show 2018. 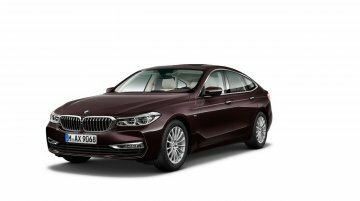 On sale in a price bracket of INR 61.80 lakh to INR 73.7 lakh (ex-showroom, Pan-India), the..
Concurrent to the release of the BMW 6 Series Gran Turismo diesel in India, the BMW 6 Series Gran Turismo petrol was introduced in the Luxury Line grade last week. 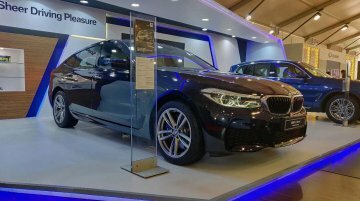 The BMW 6 Series GT petrol Luxury..
At the 2018 Auto Expo earlier this year in February, the BMW 6-Series GT was launched but only in petrol guise. 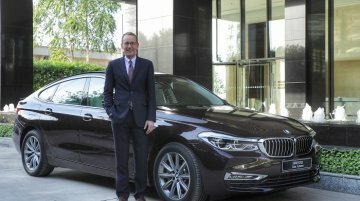 Now, BMW India has launched the diesel variant of the 6-Series Gran Turismo. 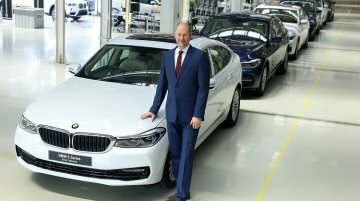 The BMW 6-S..
BMW has announced that the BMW 6 Series Gran Turismo’s assembly at the BMW Group Plant Chennai in India has commenced. 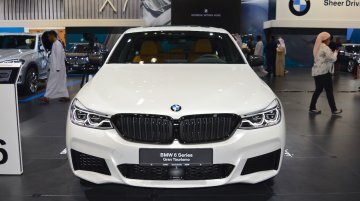 The first unit of the BMW 5 Series Gran Turismo’s successor rolled off the..
BMW launched the BMW 6 Series Gran Turismo in India at Auto Expo 2018 this month, but only in petrol guise. 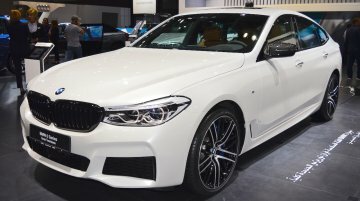 However, the company had confirmed that it will introduce a diesel engine option later this..
BMW has discontinued the BMW 6 Series Gran Coupe and its M variant in India. 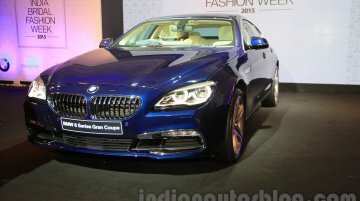 Introduced in India in November 2012, the BMW 6 Series Gran Coupe was joined by its high-performance variant BMW M6 in.. 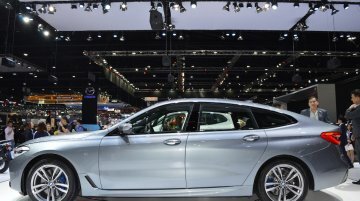 The BMW 6 Series Gran Turismo has made its Indian debut at Auto Expo 2018. Showcasing the car for the first time here, BMW has concurrently announced the local launch of the new GT. 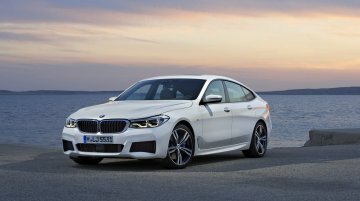 The BMW 6..
BMW India has announced that the launch of the 6-Series Gran Turismo will take place at the 2018 Auto Expo on 7 February 2018. 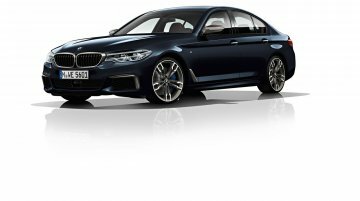 The BMW 6 Series Gran Turismo will sit just above the 5-Series in their..
BMW is showcasing a RHD BMW 6 Series GT at the 2017 Thai Motor Expo.The BMW 6 Series Gran Turismo is available in Thailand exclusively in the 630d M Sport configuration. The BMW 6 Series GT M.. 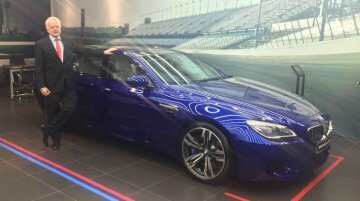 The BMW 6 Series GT has been showcased at the 2017 Frankfurt Motor Show. Here are the live images of the car, which is scheduled to be launched in November 2017. 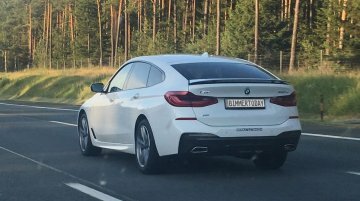 The BMW 6 Series GT is the..
A BimmerToday reader has presented the web with the first live photos of the BMW 6 Series GT on the roads. 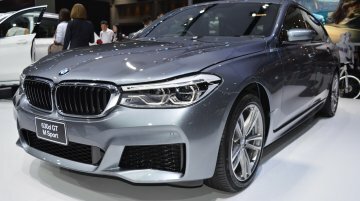 The BMW 5 Series-based hatchback, unveiled last month, has its market launch programmed in..
BMW's new coupe-styled executive saloon to reach India in February 2018. 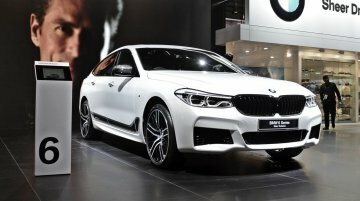 BMW introduced the BMW 6 Series Gran Turismo yesterday, a longer, coupe-styled version of the sixth-gen BMW 5 Series that ar..
BMW 5 Series GT successor arrives with a new name. 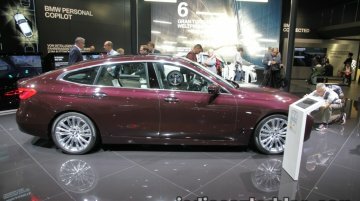 BMW has unveiled the BMW 6 Series Gran Turismo as the successor to the BMW 5 Series Gran Turismo. 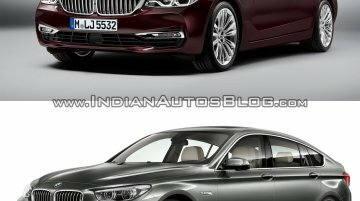 Here's a visual comparison of the two BMW 5..
Facelifted model gets minor equipment upgrades. BMW has launched the facelifted version of the four-door BMW M6 Gran Coupe at their first-ever BMW M Studio in Mumbai. It is priced at INR 1.71..
Weighs 625 kg lighter than the BMW M6 Coupe. 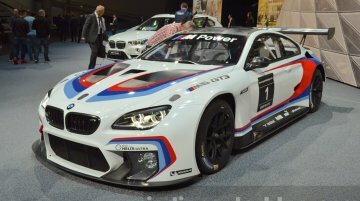 The German manufacturer, BMW has just unveiled its latest offering from its Motorsport division, the BMW M6 GT3, at the ongoing 2015 Frankfurt Motor..